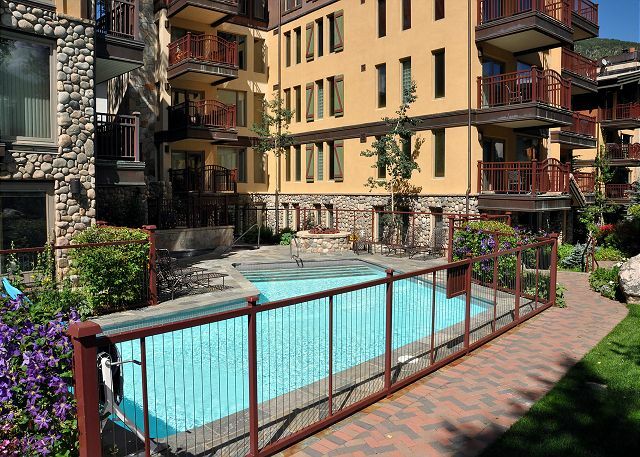 Lovely Vail Village Creekside 2 Bedroom Condo with Hot Tub and Pool. Property Video Managed by Gore Creek Properties, location is everything with this gold rated 2 bedroom, 2 bathroom condo in the heart of Vail village! 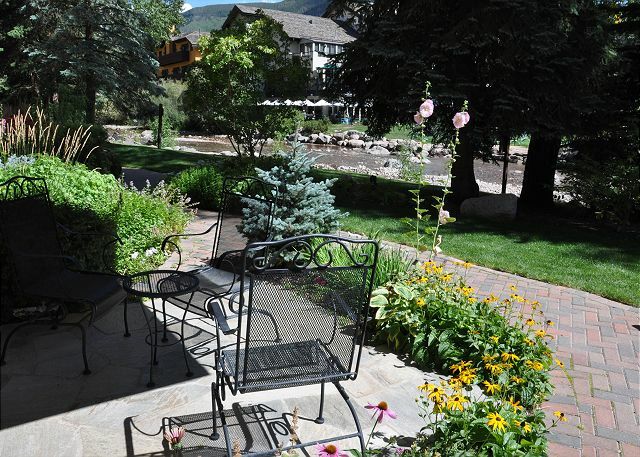 It is right on the Gore Creek in Vail with all the restaurants and shops and only steps from the ski lift. The condo has 900 square feet of living space and can sleep up to 5 people. 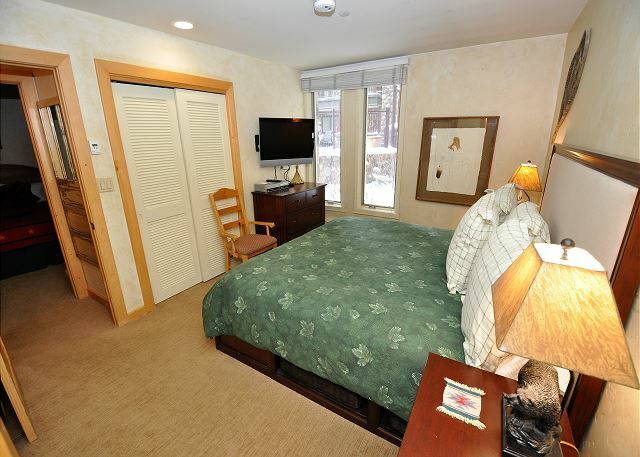 There is 1 king bed in one bedroom, 2 double beds in the other bedroom and a small sleeper sofa in the living area. 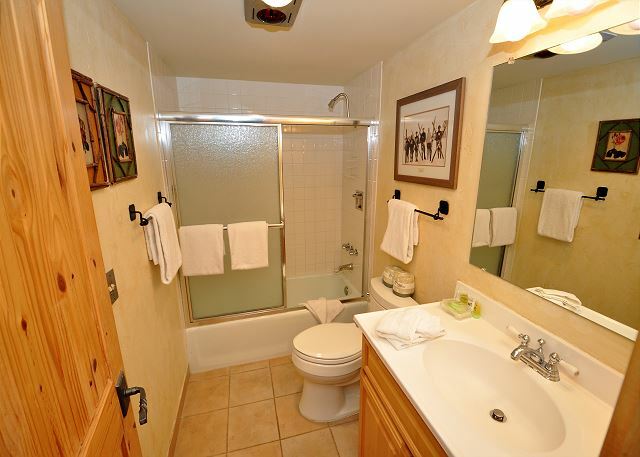 The complex has a year round heated pool and there is also a hot tub for guests to enjoy. This condo is right next to the pool and hot tub on the ground floor. There is assigned underground parking for 1 car. A parking pass is necessary to enter this garage. What an amazing place for your next vacation! This property does not allow any pets and is NON SMOKING. I just want to thank you for sharing your condo with us as it was a wonderful location. We had a wedding at the Sonnenalp and wanted a condo to stay with our 7 month old and mother in law. The location was perfect, the condo was beautiful, and it made for a wonderful vacation. We hope to come back and use it again in the future. Great location in vail village. Good unit for families. Great location right on the creek. Beautiful landscaping. Hard to believe you're right in town. Cozy charming living room. I even managed to get the cable working without too much trouble. We loved it! 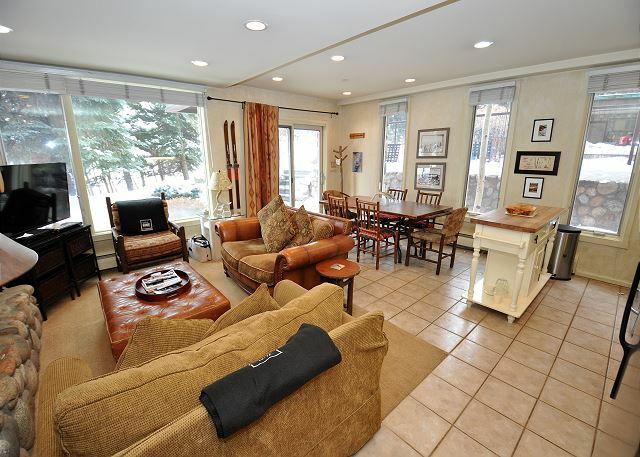 The condo is nestled right on the river smack in the middle of Vail Village. We loved the condo and would stay there again. Some of the furnishings need updated, and the DVD player doesn't work, but otherwise it was great and we plan on renting it again! Central to everything - yet feels private. This is a perfect spot to stay for vacation. We loved Vail, and the rental we stayed in was perfect. The location was very close to the Gondola, town, pool,We would love to come back. Same Time Next Year. Happy Hour on Gore Creek! Nice place but it's all about location. Outdoor patio is steps from Gore Creek. Coffee in the morning and vino in the PM with the best view in the Village!